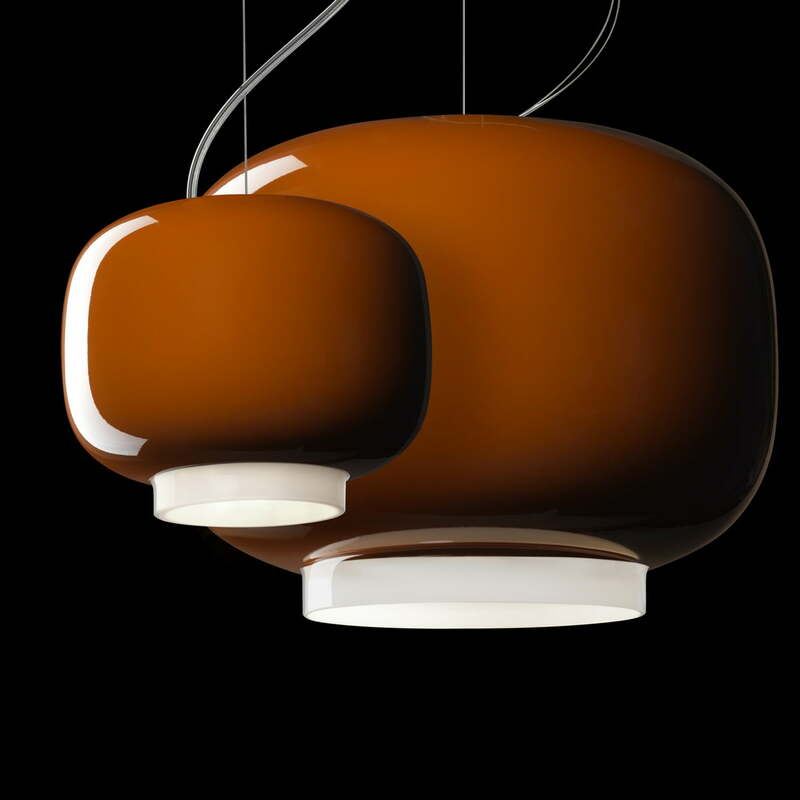 With the pendant lamp Chouchin, the Foscarini designer Ionna Vautrin designed three different models in the style of traditional Japanese lamps. 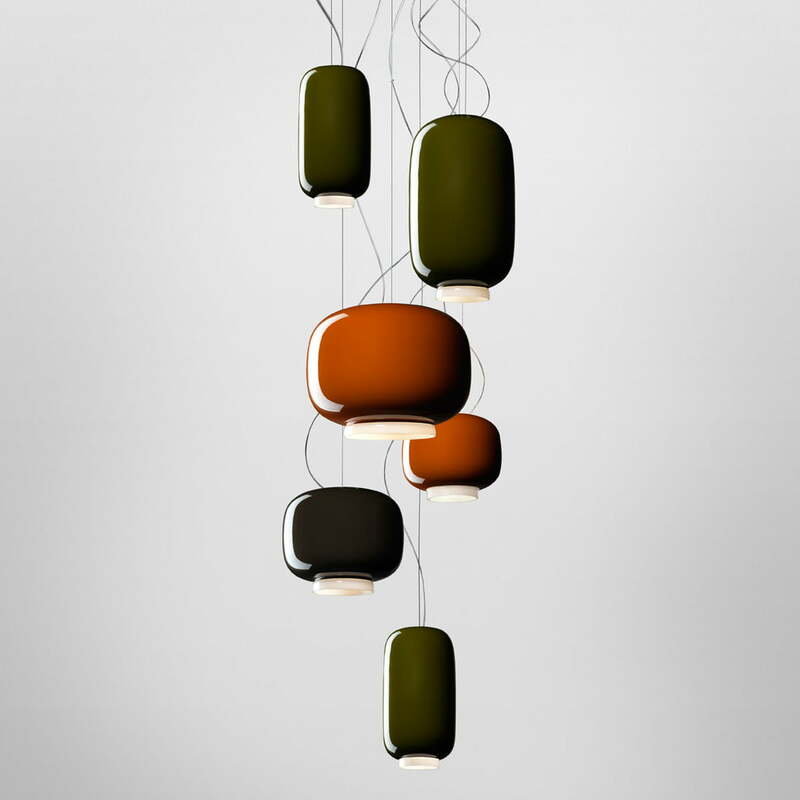 The glass pendant lamps can be arranged as pretty light installations regarding size, shape and colour. The Chouchin lamps spread pleasant light, directed downwards, for moody moments. 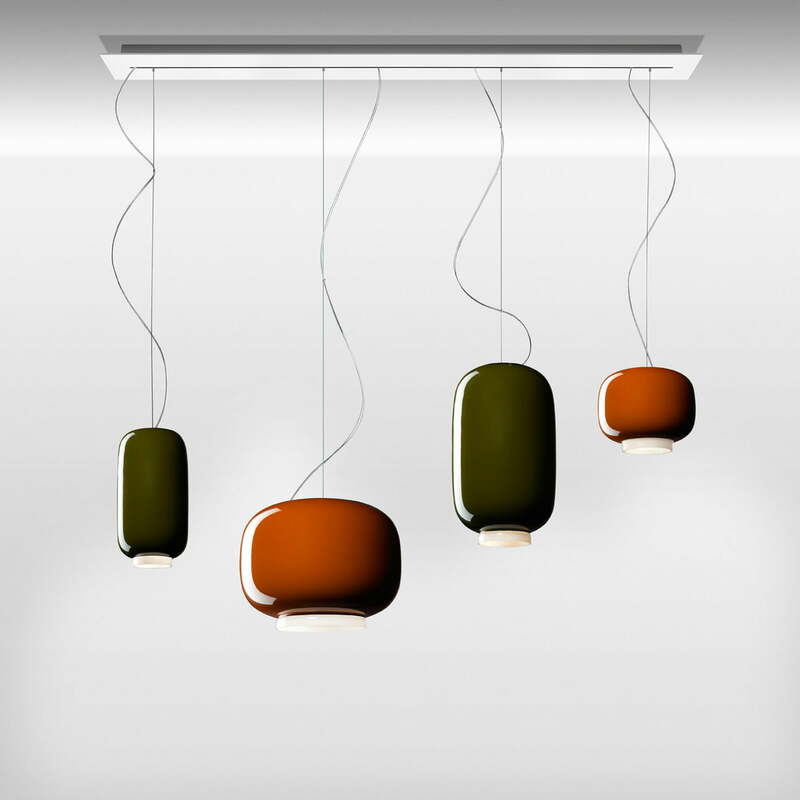 The Chouchin 1 pendant lamp is painted in a powerful orange and the biggest one of the three models. It has a classic lampion shape and a diameter of 40 cm. The Choucin 2 was kept in a dark retro green colour and it is a bit longer and has a diameter of 22 cm. The smallest model Chouchin 3 is dark grey and has a diameter of 30 cm. The mouth blown glass was painted with opaque colours, in order to keep the light shining out together, only at the base. The lamps are suitable to illuminate tables or counters. The lamps can be installed with multi-canopies. The Chouchin Mini lamps can brighten smaller areas, being as well eye-catching, although the lamps are smaller. 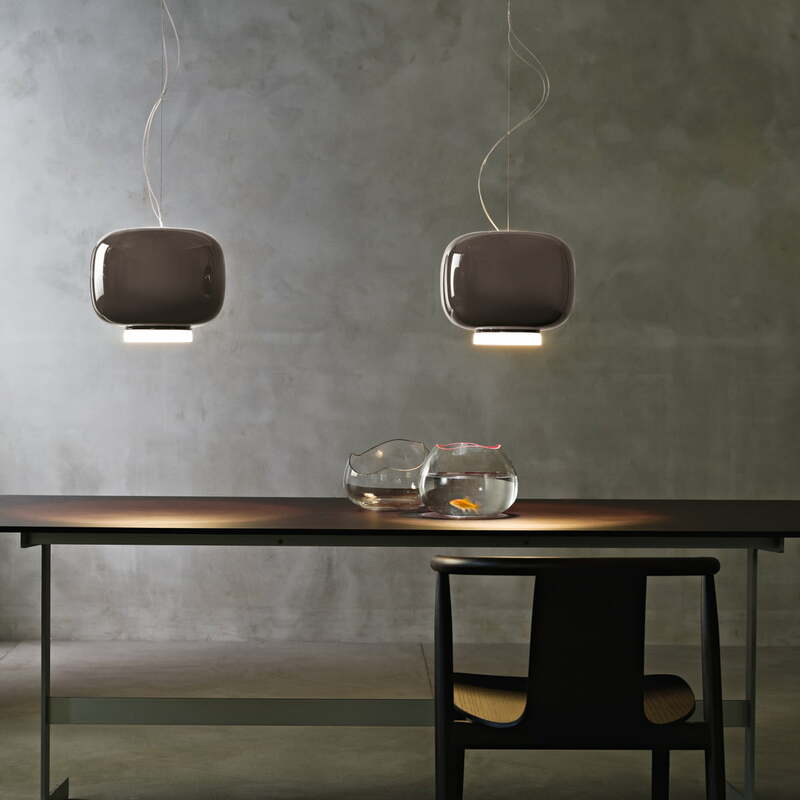 Single image of the Chouchin pendant lamp 3 by Foscarini in grey. The shape of the smallest model of the family also reminds us of a traditional Japanese lampion. 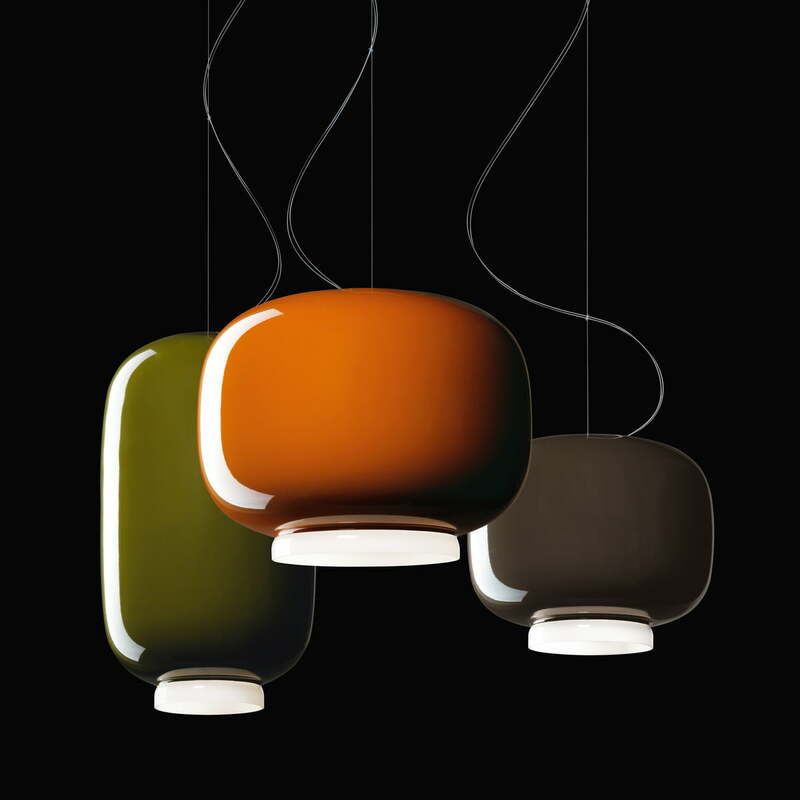 Single image of the Chouchin pendant lamp 1 by Foscarini. The shiny orange lacquer is opaque, which is the reason why the lamp spreads its war might intensely and directly downwards.